Peter and Birgit Lochmann have always loved travelling, but since retirement they've found that Airbnb is bringing the world to them. 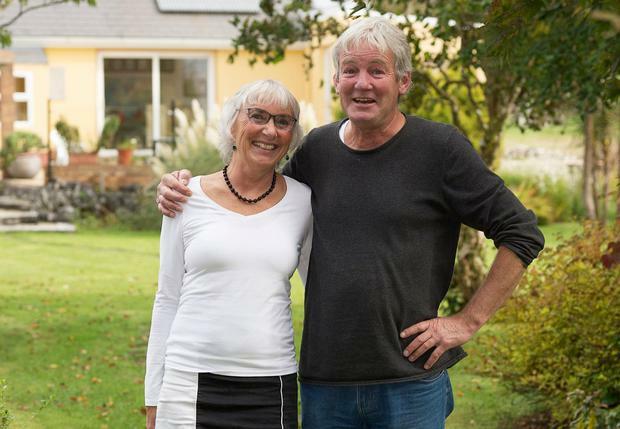 The couple, both 62, opened their home to Airbnb holidaymakers for €80 a night. The Lochmanns, originally from Germany, live in rural Corrandulla, Co Galway, and have been renting an art studio attached to their home for three years. "We've only had positives with Airbnb guests. We don't rent via Airbnb for money because we don't need it," Peter said. "We do it to have a positive experience and to meet lots of different people from across the world. We invite them in for coffee or a beer when they arrive and the ones we really like, we invite for dinner. We're in a rural setting - people come here to relax and take in the scenery." The couple are avid travellers and recently traced the historic Silk Road. Birgit is an artist and when the couple are expecting guests they clear all her works from the studio to make way for those staying. "I also have all the local knowledge - like how to avoid expensive parking at the Cliffs of Moher," added Peter. "We genuinely enjoy meeting all sorts of people from across the world. For us it is like travelling while standing still."